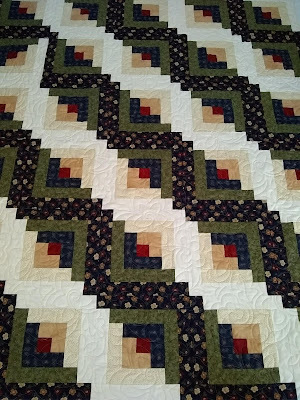 Quilted with the Hidden Hearts pattern. I put this together out of thrifted shirts and jeans. 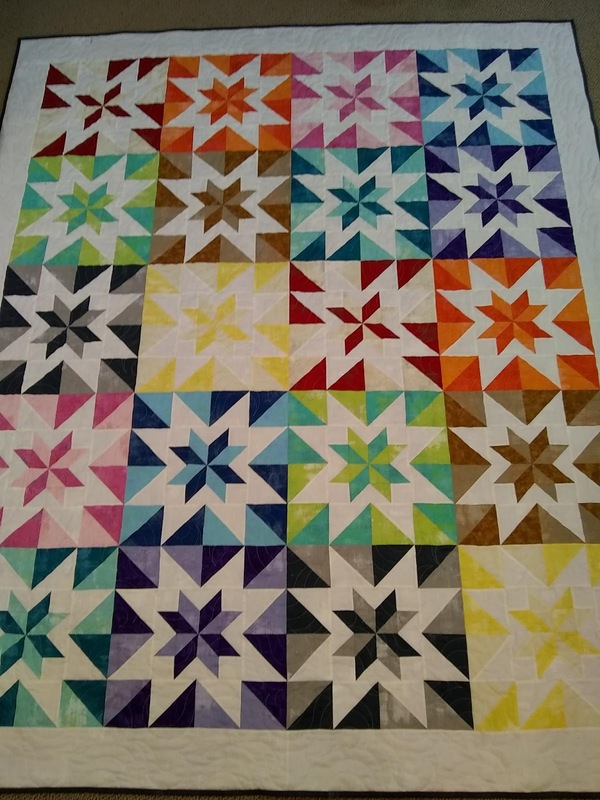 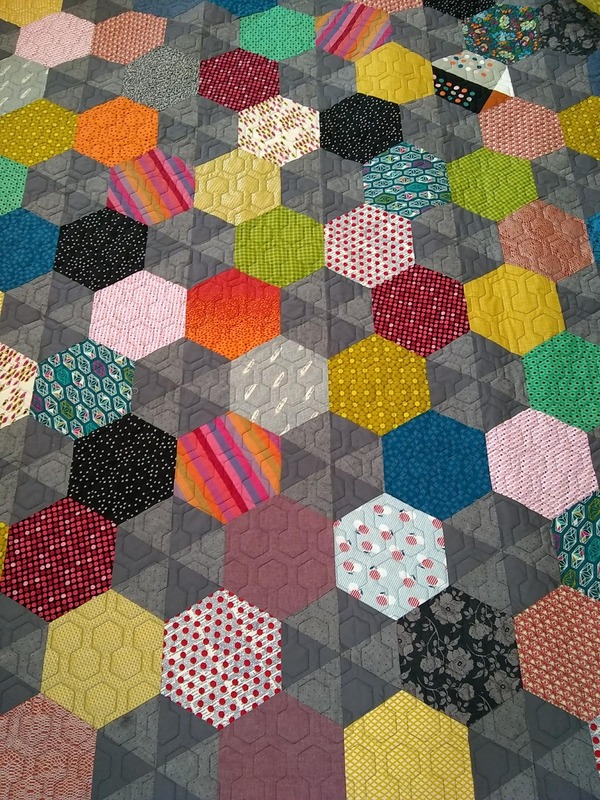 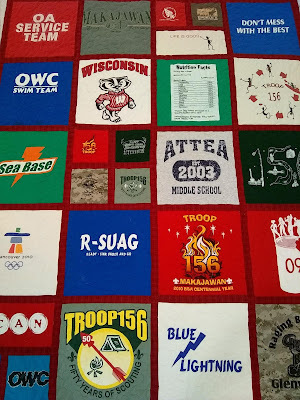 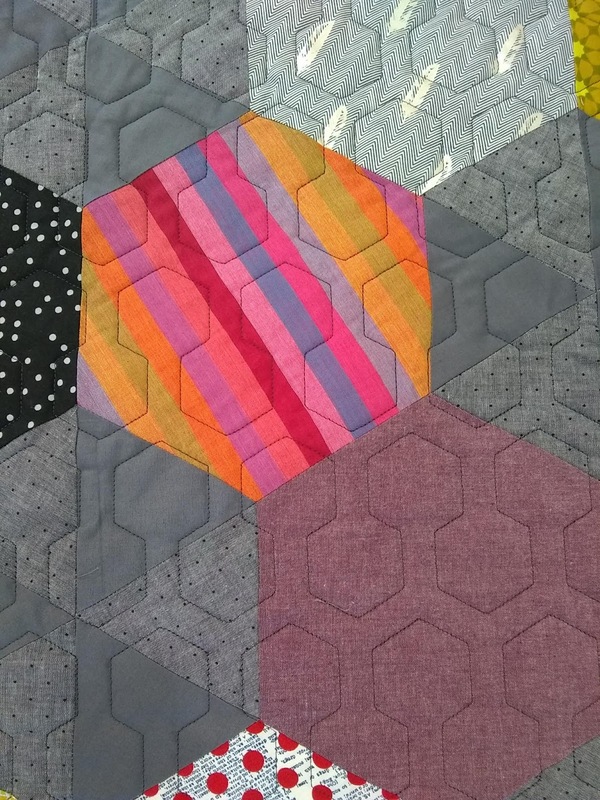 I was inspired by a customer quilt that I worked on that was made with hexagons. 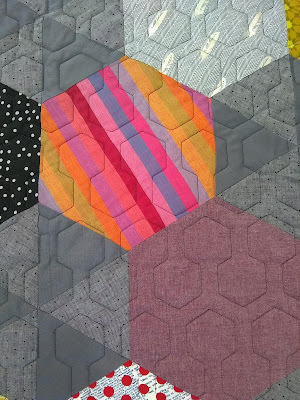 It was a fun challenge to try out hexagons and use up some denim. It is quilted with the Argyle pattern. 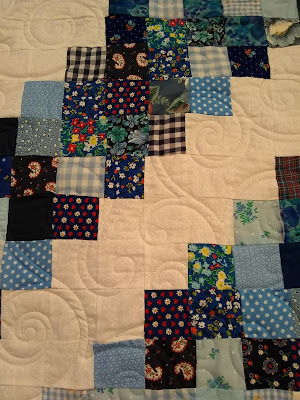 Quilted with the Botanical Blossoms pattern. 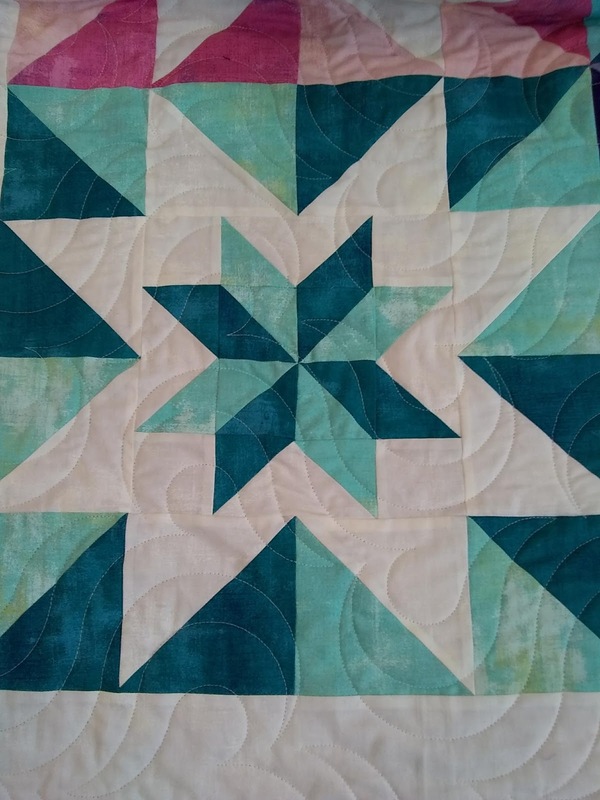 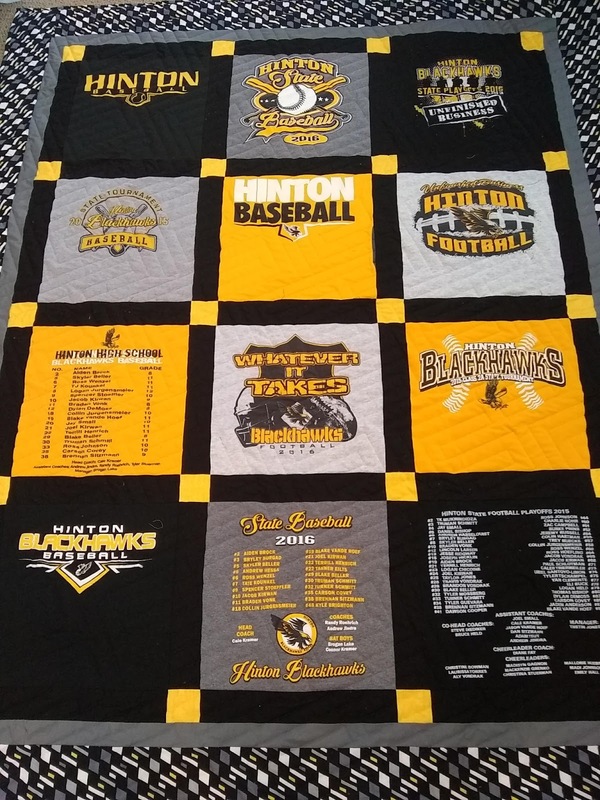 Quilted with the Bayside pattern. Quilted with a diamond Cross-hatch pattern with clear thread. 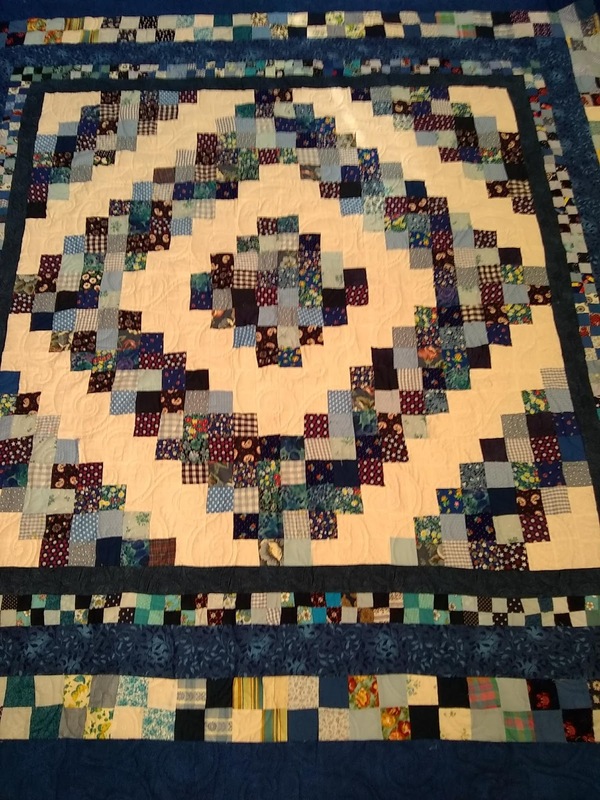 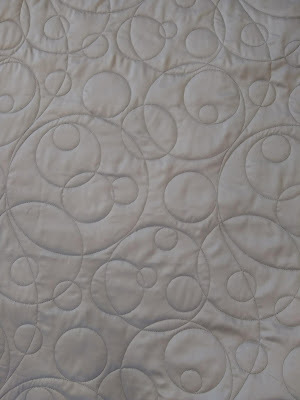 Quilted with the Double Spiral pattern. 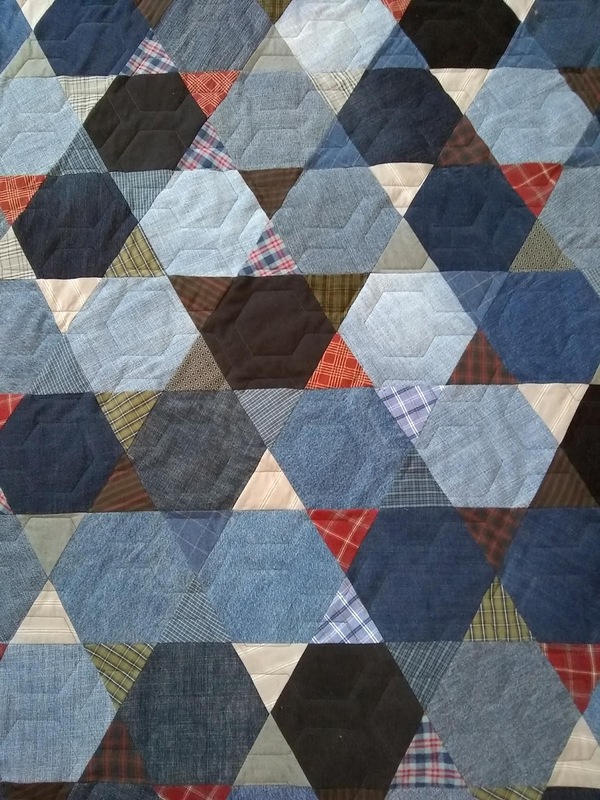 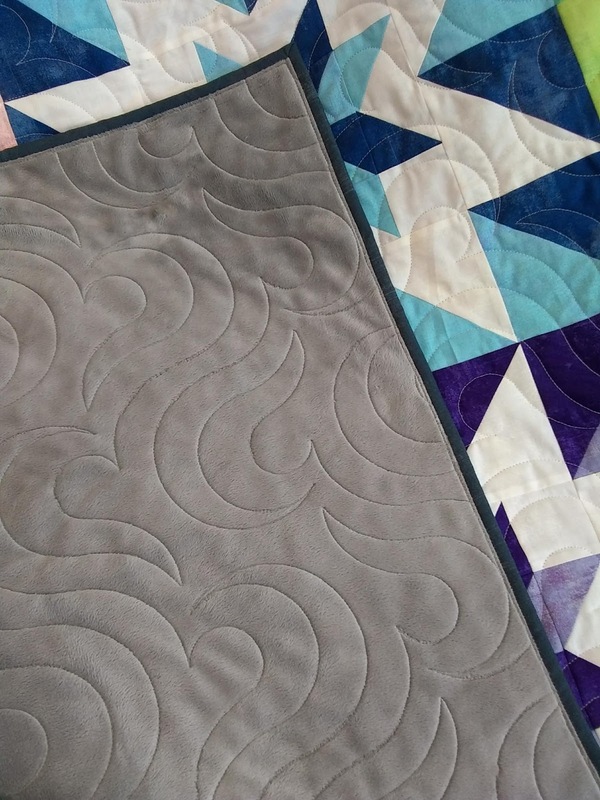 Quilted with the ZigZag pattern, with a light gray thread. 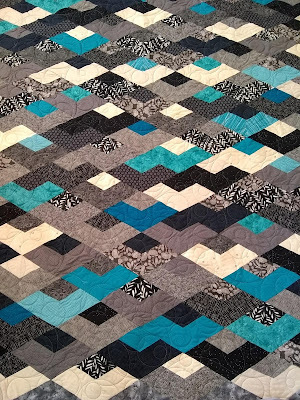 Quilted with the Surf pattern. 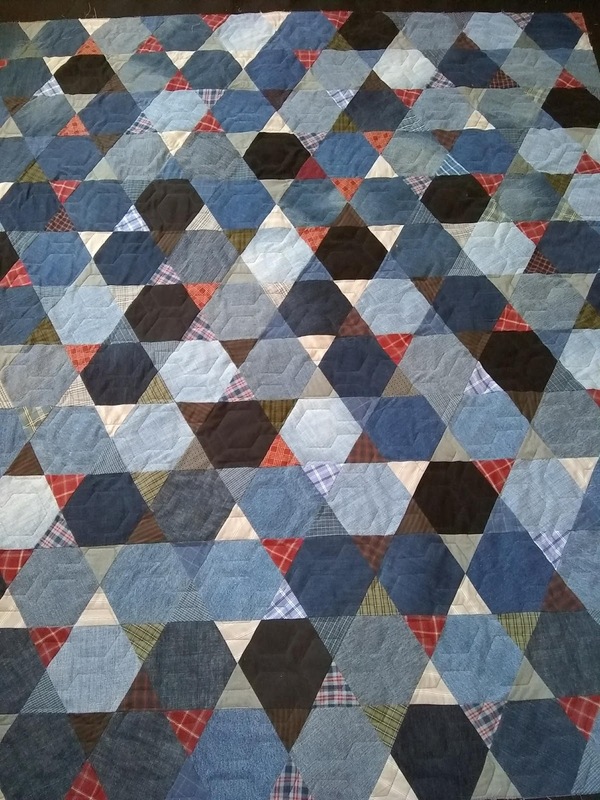 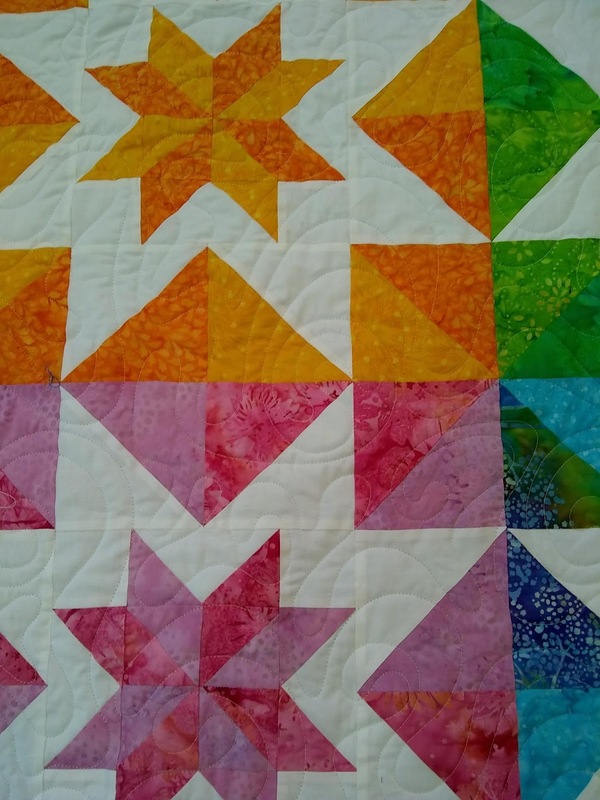 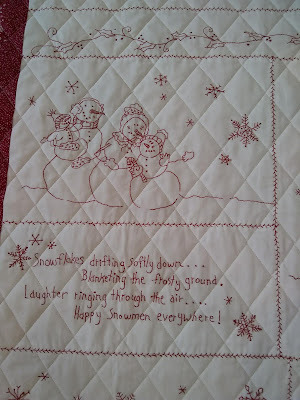 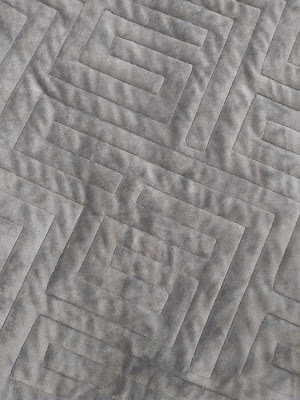 Quilted with the Meander pattern with clear thread. 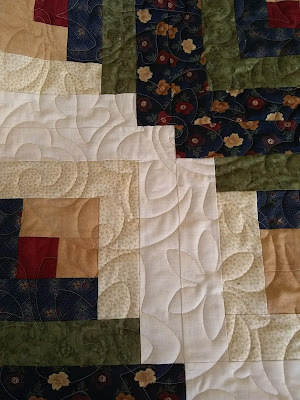 Quilted with the Cross-hatch pattern. 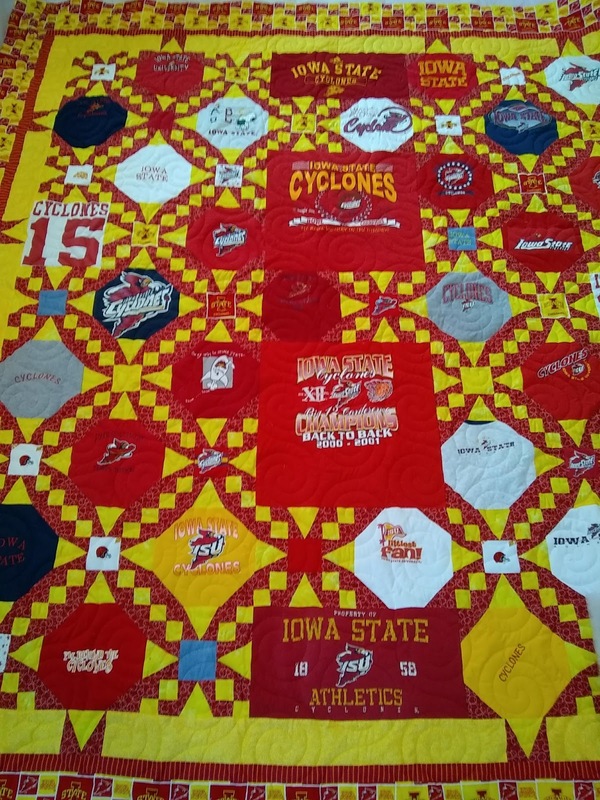 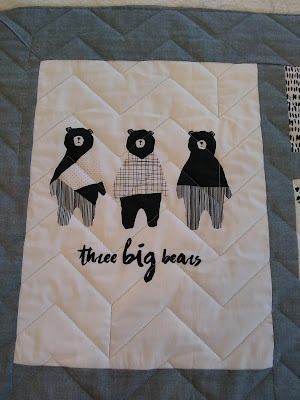 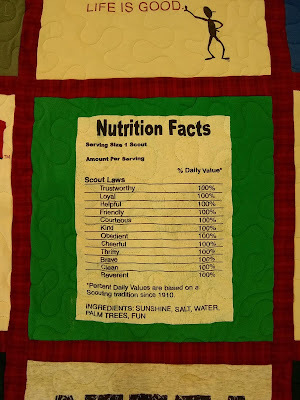 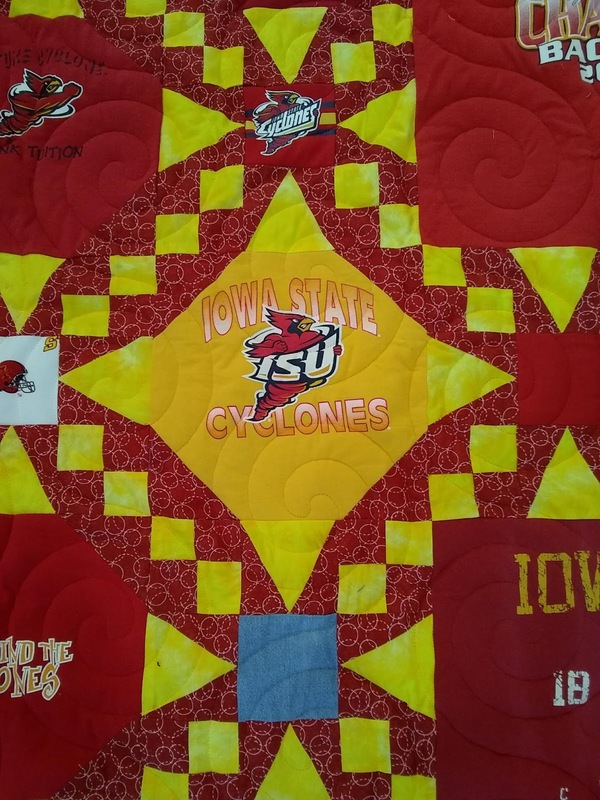 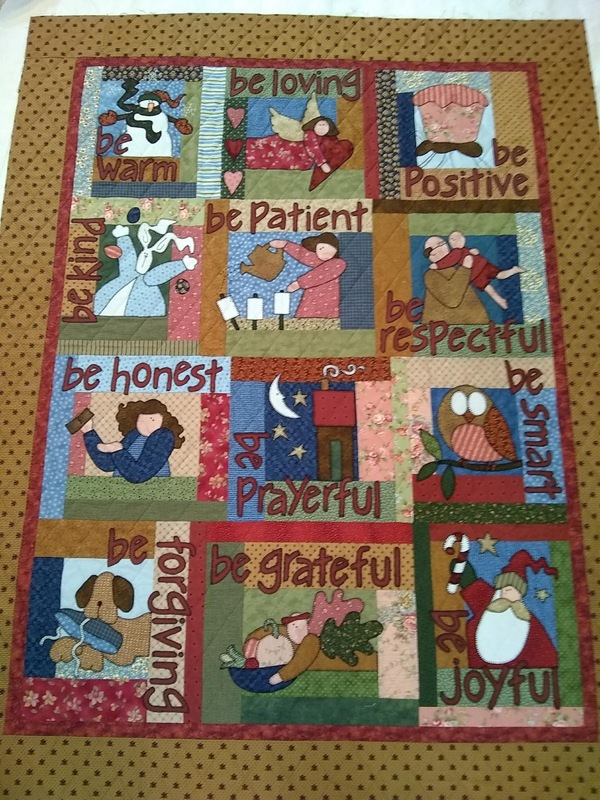 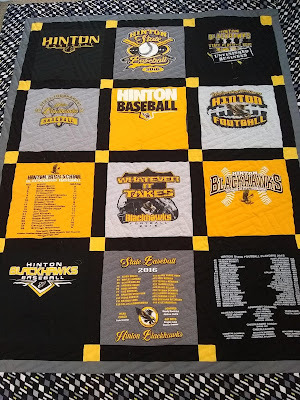 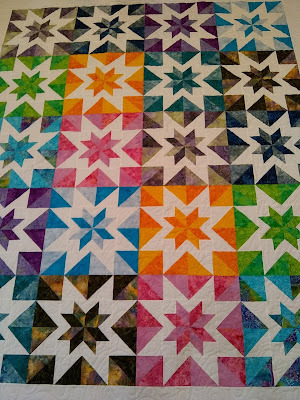 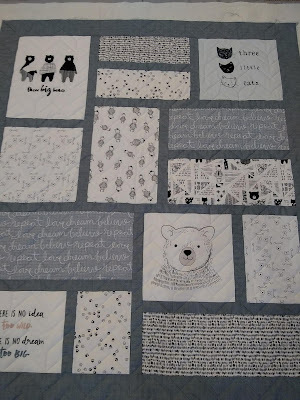 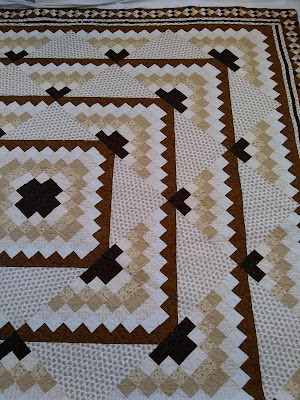 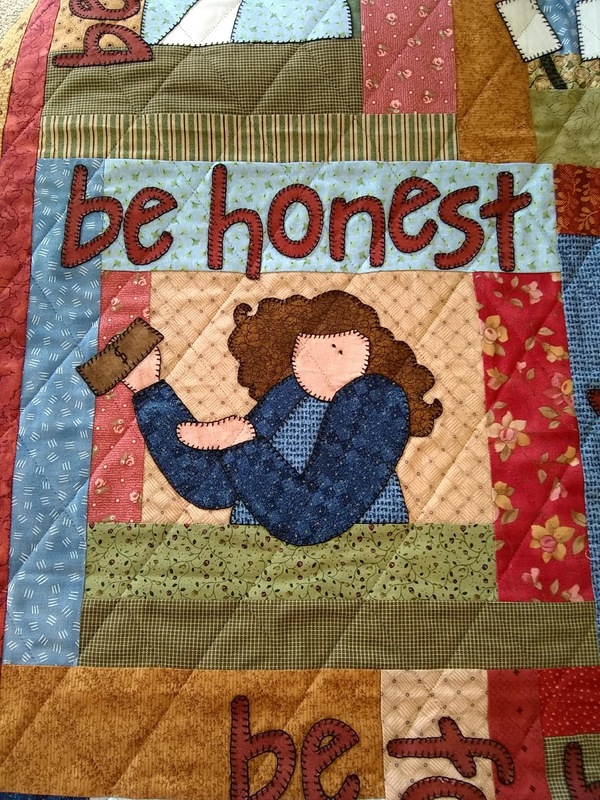 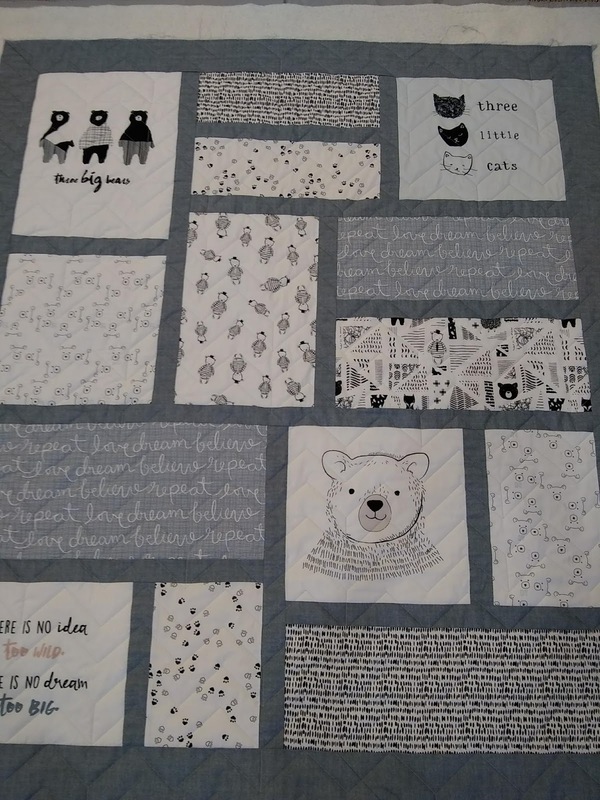 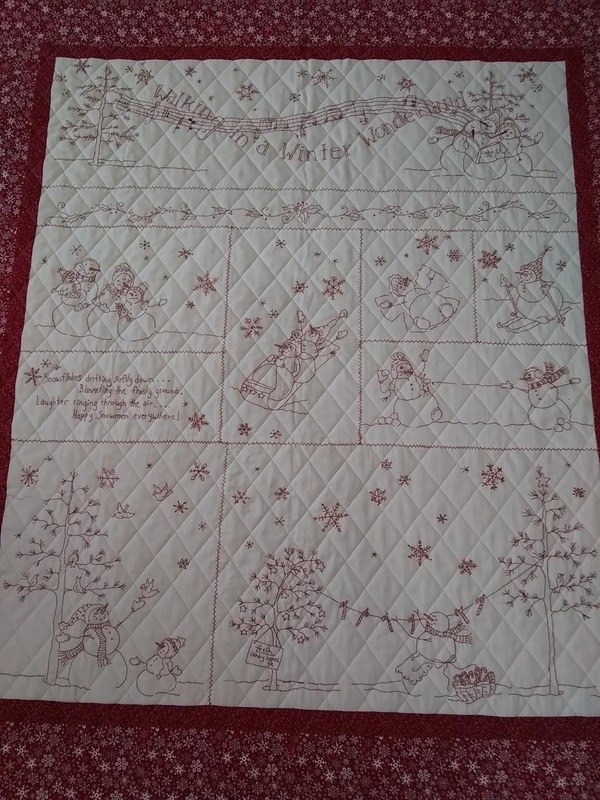 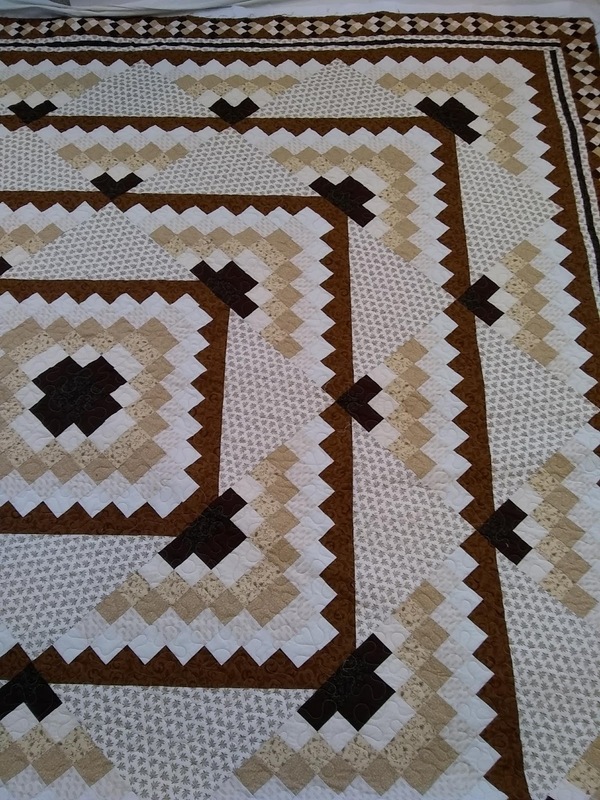 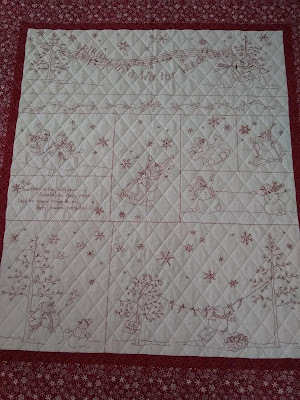 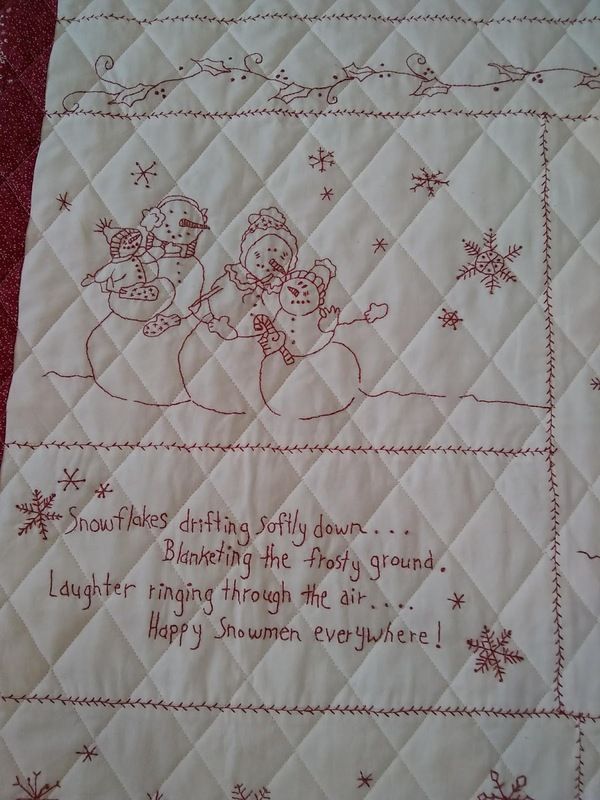 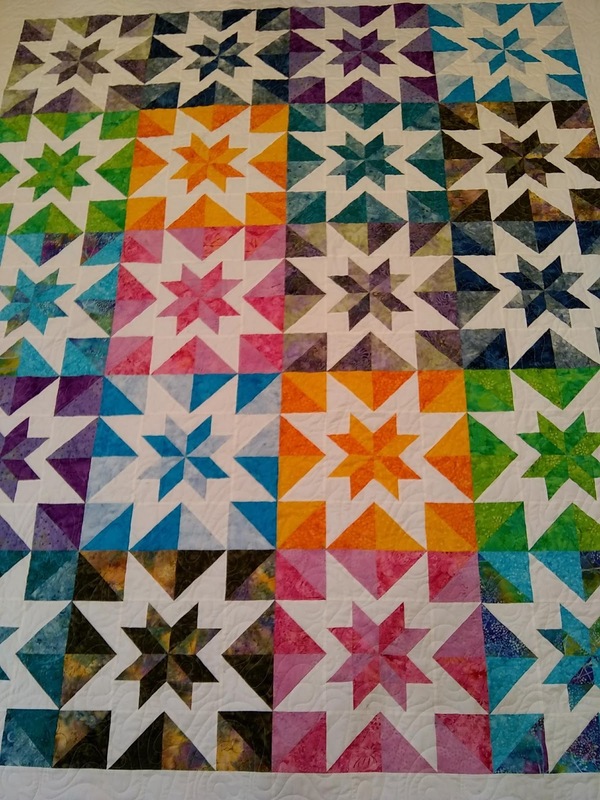 When there is embroidery on the quilt, like this one, I recommend keeping the quilting pattern simple so it doesn't compete with the embroidery. 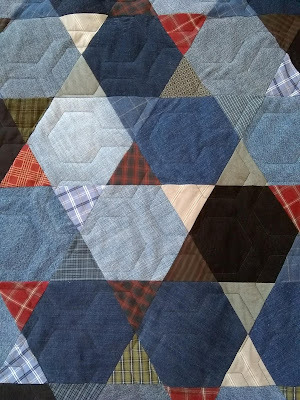 My cell phone is working again & I am able to receive calls again. So sorry for any trouble that has caused. If you left a message yesterday or today, I was not able to access the message, and so please call or send a text now that things are working. 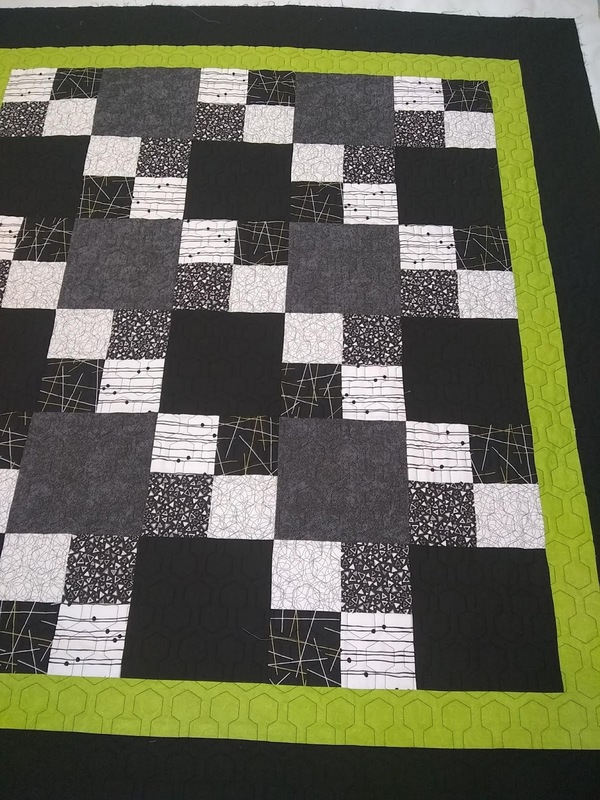 Quilted with the Argyle pattern. 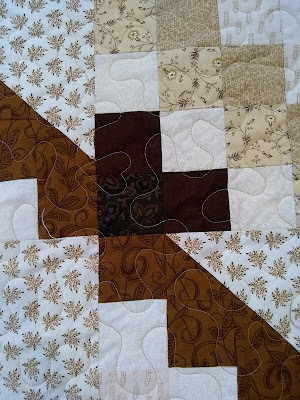 I am currently switching cell phone providers... so if you are not getting through to me with a phone call, that's why. My cell number is at the top of the blog page. I can receive texts, so please text me to get a hold of me. 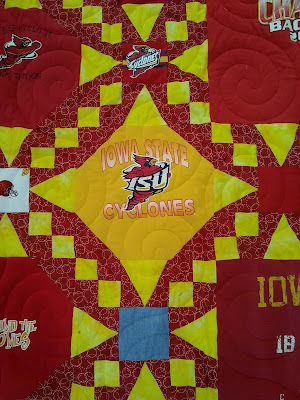 Or you can call 712-725-1923 and leave a message & I will get that on our land-line. 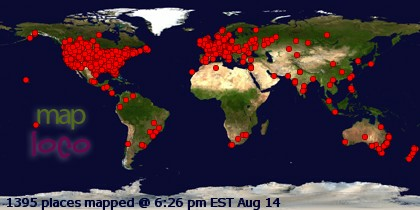 The problem should be resolved soon, sorry for the problem! Quilted with the Fluid Meander pattern. 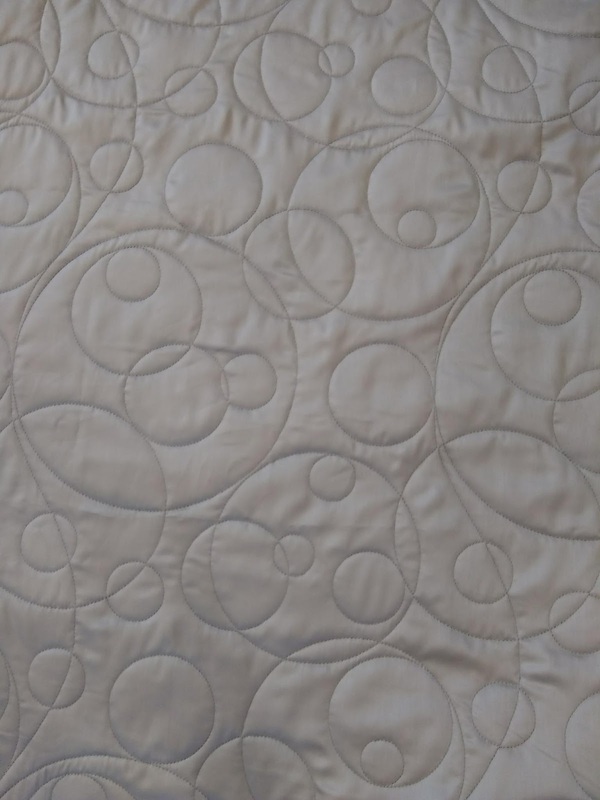 Quilted with the Champagne Bubbles pattern. 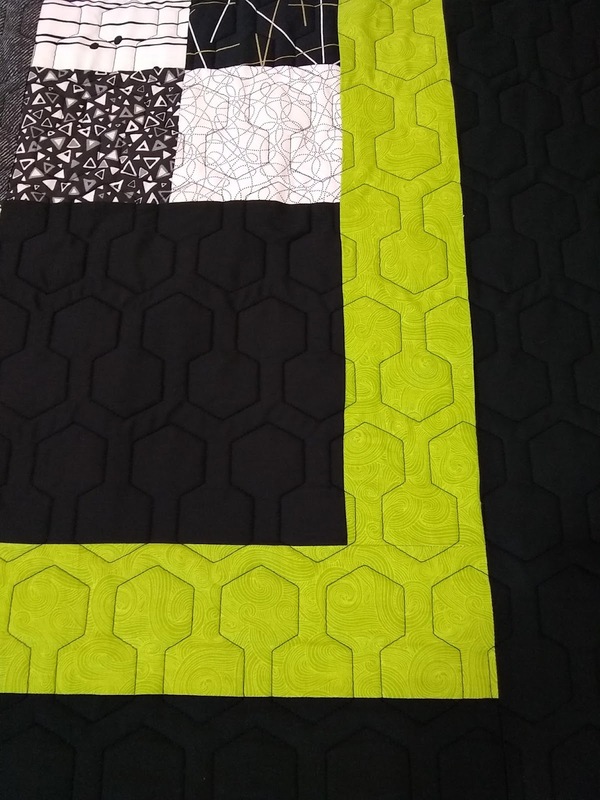 Quilted with the Slope Intercept pattern. I have samples here of each kind of batting, or I can mail you a swatch of any kind.